Own an iPhone 7 and 7 Plus. Looking for a distinct method to factory reset iPhone 7? You have to come to right place. I have made an ultimate guide on how to factory reset iPhone 7. Following are the two basic and only preferable method that every iOS user must use. You can use this same method on iPhone 7 Plus, iPhone 8, iPhone 8 Plus and iPhone X. Keep that in mind, if you are going to factory reset your iOS device then be aware you’ll lose all of your data. Your device will come back in factory state. Most of the time we go for Factory reset option is when we had no other solution and our device is corrupted or behaving fizzy. This method is easy and you can do it form your device settings. Follow the instructions. This method is so simple but it takes time depending on your data and apps. Once you have selected Erase iPhone it will show you how much time it will take to Erase all Content and Settings. You need iTunes to use this method. I find this method is quick as compared to the 1st one. Let’s start it. Now that your iPhone has restored to its factory state, you need to activate your device. On your iTunes screen, you’ll see two options “Set Up as a New iPhone” or “Restore From a Backup“. If you want your old apps and settings then select Restore from a backup or if you want to go with fresh iOS then select Set Up as a new iPhone. If you want to go with the Restore from a backup then select that option and iTunes will show you all the backup’s you have made. Choose the one you want and let iTunes do its magic. Please share the Techbeasts guide with your friends and Families. 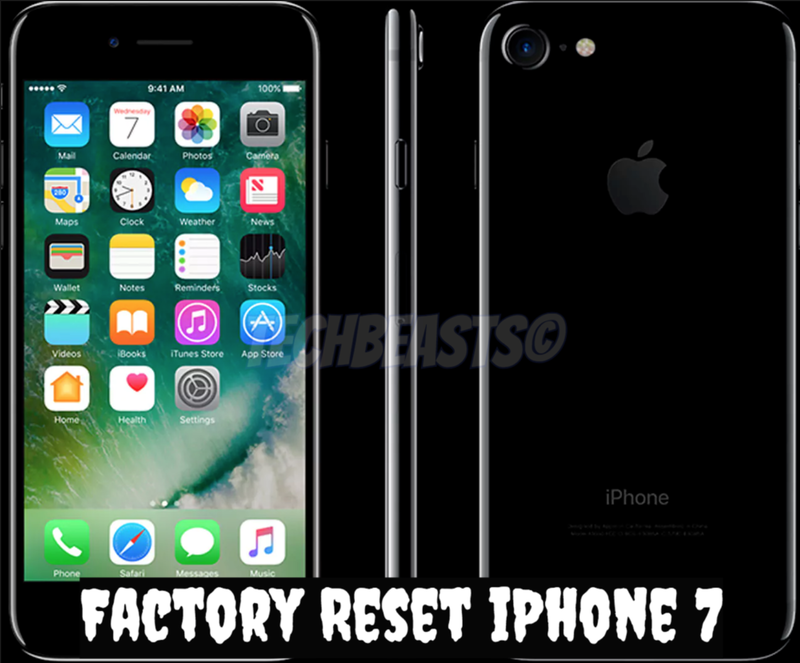 Let us know if you face any issue while doing Factory reset your iPhone 7.